Depending on the chef job you’re going for you will almost certainly be asked to do a tasting. The tasting may be market basket based, a creative tasting that you can partially prepare, or simply a run through of some of the property’s signature dishes. Generally tastings show a few but not all-important aspects of a chef’s abilities: Sense of flavour, work habits, quality of food and timing, and to some extent how the candidate deals with people. Determine what the employer is looking for. This is the most important rule. Be sure you know what the company wants and expects. Listen very carefully. If they stress local ingredients, or French style or comfort food, they mean it. Don’t be afraid to ask questions. Take notes. If you have a question before the tasting, write an email or give them a call. You should never miss a tasting. Know the parameters of the exercise. Are you to create the menu, will it be their menu, what should you prepare or bring? For how many will you be preparing for? How many items do they want? What is the timing? Stay within your comfort zone. Prepare items you know. A tasting is no time to challenge yourself. Choose items you can create easily and have often prepared. Unless it is absolutely unavoidable, never do anything new in a tasting. Avoid last minute changes. Also, be painfully aware not only of taste but of presentation. If possible, do a run through of the tasting at home. It’s standard policy to take your own chef whites and knives. Avoid items which require special utensils or hard to find ingredients. Be sure that the kitchen has those basic utensils you will need. Be respectful to everyone in the kitchen. You are being watched. 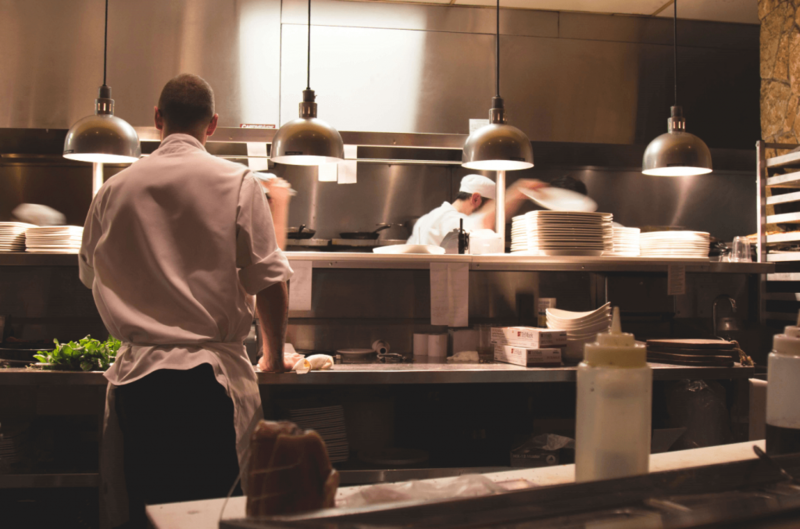 It is not unusual for employers to ask employees what they thought of a try out chef. You are a guest in their kitchen. Stay calm and stay tidy. Work cleanly and professionally. Do not expect anyone to follow you with a rag. If possible, check out the space in advance. Arrive early to set up correctly. Rely on your training and past experiences to get you through! Go into the dining room when the tasting is finished. This is good manners. However, don’t if you’re asked not to. Treat the employers as guests. Ask what they thought of the meal. If there were any issues, tell them. Explain and discuss the dishes you created and prepared. Thank the staff you worked with. Thank the potential employers. Even if you think things went poorly, smile. Shake hands. If you are offered an alcoholic drink at any time during the process, decline it politely. Do not have a drink at the bar afterwards either. And lastly, remember it never hurts to send a ‘thank you’ email whether you end up getting the job or not.